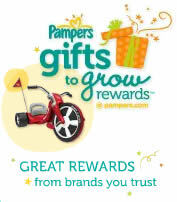 Get 10 Free Pampers Gifts to Grow Points. This freebie is available again, but this time with a different code. All you have to do is enter the code: FBC1122THXDAF12 in order to receive your Free Pampers Gifts to Grow Points.